Imaging of the spine in patients with acute low back pain during the early phase of symptom onset is unnecessary. Red flags that may indicate that early imaging of the spine is required can include neurological deficit such as weakness or numbness, any bowel or bladder dysfunction, fever, history of cancer, history of intravenous drug use, immunosuppression, steroid use, history of osteoporosis or worsening symptoms. These items are provided solely for information and educational purposes and are not intended as a substitute for consultation with a medical professional. Patients with any specific questions about the items on this list or their individual situation should consult their physician. This Choosing Wisely® document does not represent a “standard of care,” nor is it intended as a fixed treatment protocol. It is anticipated that there will be patients who will require less or more treatment than the average. It is also acknowledged that in atypical cases, treatment falling outside this recommendation list will sometimes be necessary. This document should not be seen as prescribing the type, frequency or duration of intervention. Treatment should be based on the individual patient’s need and physician’s professional judgment. This document is designed to function as a guide and should not be used as the sole reason for denial of treatment and services. This document is not intended to expand or restrict a health care provider’s scope of practice or to supersede applicable ethical standards or provisions of law, but to encourage discussion of these issues between physician and patient, encourage active patient participation in health care decision-making, and foster greater mutual understanding. The American Association of Neurological Surgeons’ (AANS) and Congress of Neurological Surgeons’ (CNS) Quality Improvement Workgroup and Joint Guidelines Committee, which included representatives from the clinical subspecialties in neurosurgery, developed an initial draft list of Choosing Wisely®recommendations, based on the scientific evidence, existing clinical practice and expert opinion. This list was then submitted to the leadership of the AANS/CNS clinical subspecialty sections (cerebrovascular, pain, pediatric neurosurgery, spine and peripheral nerve, stereotactic and functional, trauma and tumor) for review and feedback. In addition, we solicited feedback about the recommendations from the general membership of the AANS and CNS. 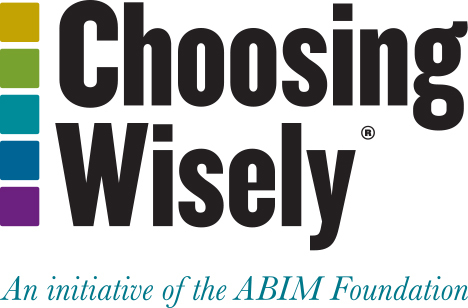 The list was submitted to the AANS Board of Directors and CNS Executive Committee, which reviewed and approved the final set of Choosing Wisely recommendations. The AANS and CNS disclosure and conflict of interest policies can be found at www.aans.org and www.cns.org. Chou R, Qaseem A, Snow V, Casey D, Cross JT Jr, Shekelle P, Owens DK. Diagnosis and treatment of low back pain: a joint clinical practice guideline from the American College of Physicians and the American Pain Society. Ann Intern Med. 2007 Oct 2;147(7):478–91.